An election will be held Tuesday, November 27 and Wednesday, November 28, 2018 to fill the vacant Non-Teaching Staff representative seat on the Board of Governors. 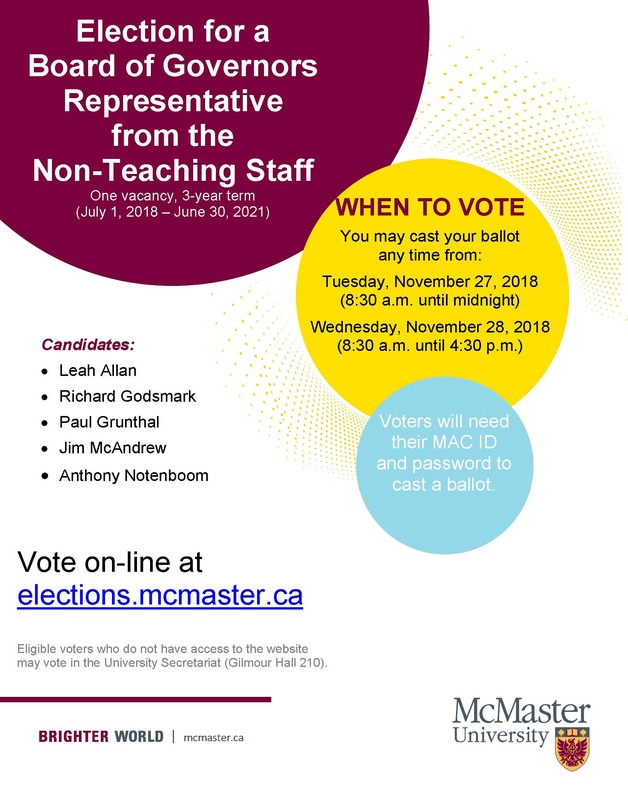 Voting will be conducted on-line at MacVote. To view the list of candidates and for information on voting please visit the University Secretariat Election website.